Ah, dads. Where would we be without them? No one to show us how to properly tuck a sweatshirt into sweatpants, or tell the same joke at every holiday gathering. No one boasting they can make a mean two-egg omelette. No one to talk endlessly about Butch Cassidy and the Sundance Kid. But of course there’s far more to dads than their lack of style and penchant for the good ol’ movies. And on Father’s Day, be sure to remember to let him know how much he means to you. Far from a “Hallmark Holiday,” Father’s Day has its origins in medieval Europe, when Catholics dedicated a day to honoring fathers, fatherhood and all paternal relationships. Fast forward a couple hundred years, and it’s now a holiday held all over the world — a testament to how important fathers and father figures are in societies everywhere. However, be careful. The date fluctuates around the world. In Spain, for example, it’s held on March 19, while in New Zealand, it’s on the first Sunday in September. Keep this in mind if you’re traveling, or have family living overseas. There are few things more upsetting than a disappointed dad. One of the best ways to celebrate dear old dad is to let him know how much you appreciate him. In the days or weeks leading up to Father’s Day, make note of all he does for the household on a daily basis. Then, on Father’s Day, tell him how much you appreciate these small things, and that it doesn’t go unnoticed. Even better, take on these chores or activities for the day, and let him rest and bask in the glow of familial appreciation. It may be Father’s Day, but often you’ll find what fathers want most in the end is time with the whole family. 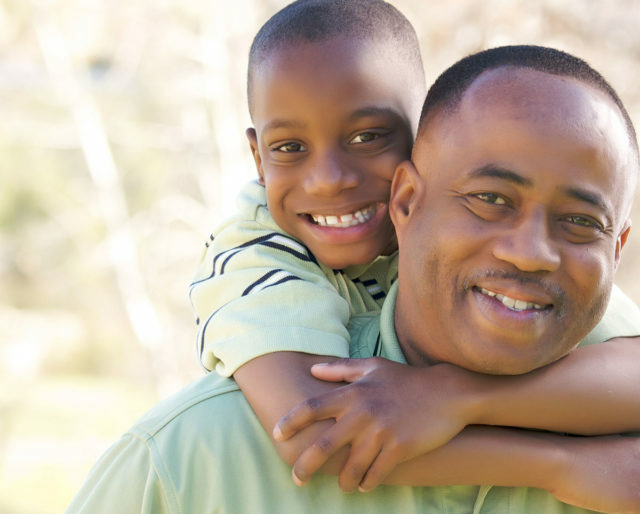 Talk to dad and see how he feels about a family outing, and choose something everyone, at any age, can take part in. This will give him plenty of memories and stories to bring up at later family gatherings, and what could he want more than that? Sure, a new weed wacker would make him happy, but there’s always room for creativity when giving gifts. A gift with meaning, rather than functionality, may be a welcome change this year. Nostalgic items and homemade projects are always a good idea, but whatever it is, be sure it shows how much you appreciate having dad around, and everything he’s taught you. Even the most embarrassing dad moments will always make for laugh-out-loud stories later on. And someday you’ll cherish all those times you rolled your eyes at the jokes he tried to tell the waiter at lunch. Dad’s make us laugh, even if we don’t see it at the time, and that will always be one of their greatest contributions. How to work the new stereo, how to change a flat tire and how to adjust the blade height of the lawnmower are but a few of dad’s greatest teachings. Dad’s have been passing along their wisdom for generations, and we can never overlook that. From learning how to work a sickle at the dawn of civilization to showing us how to clean the food gunk out of the kitchen sink, dads have been there through it all to show us the way. Dads put up with a lot. From playing prince (or princess) with their kids to taking care of whatever pet the rest of the family brings home, we can count on dad to come to love it eventually, even if he puts up a small fuss initially. And we can’t thank them enough for this.